West Side's boys team of Randon Carlton and Robbie Schmidt won Doubles tennis at the District match this afternoon, and one of West Side's girls Doubles teams finished third in girls Doubles. “I am very proud of all of my student-athletes,” said the coach. 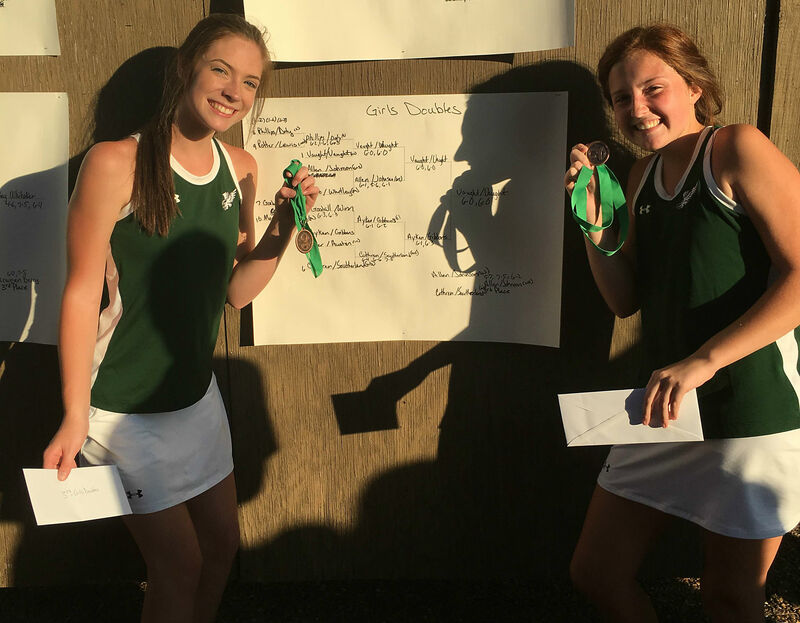 “We had a few returning players and several first-time tennis players this year. I am very proud of their hard work and success on making to the state tournament. 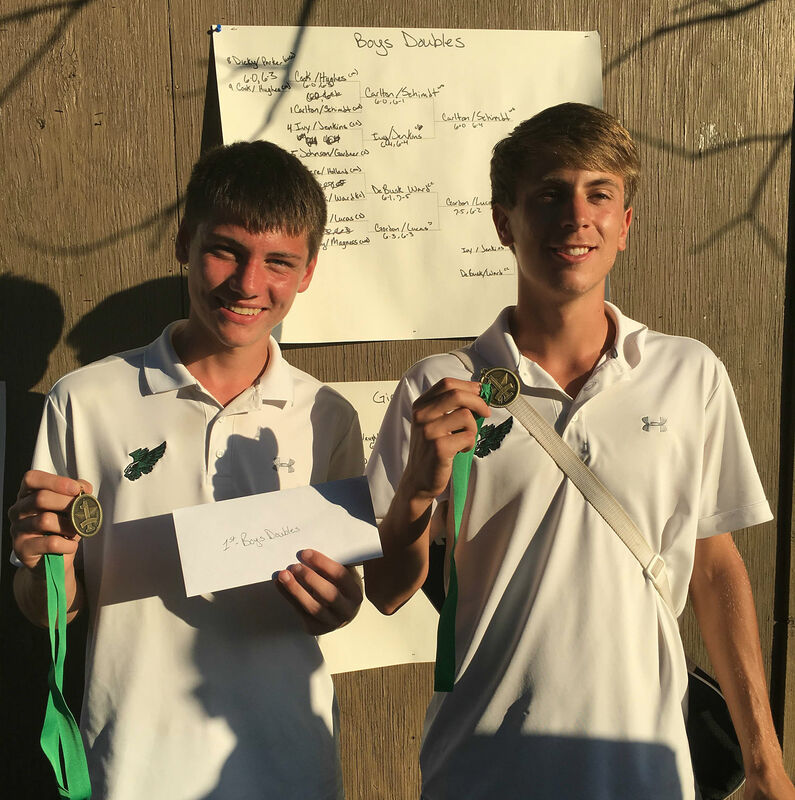 "It's not every day that you win District in boys doubles back-to-back years and take a team of first-time tennis players to the state tournament. It's been a great season, and I am very excited about the future of West Side Tennis." Carlton and Schmidt sailed through the final match 6-0, 6-4. Both teams will compete in the state tournament October 17-18 in El Dorado.